If you need a little motivation, meet Diana Duchscherer. She is like a lot of moms in direct sales who balance building a business and running a busy family. She even adds in volunteering with multiple organizations. But Diana leads by unique example. The Pampered Chef consultant has been hearing impaired since having a high fever as a toddler. Her hearing has declined to where she now relies on just one hearing aid. “No one thought I’d succeed in direct sales, but even my husband is impressed and he knows it’s all thanks to CinchShare,” she said. Diana credits the scheduling software CinchShare with helping her stay on top of social media, parties and day-to-day tasks. She said her business has grown exponentially since starting to use CinchShare two years ago. Having scheduled content post to her channels is critical when she’s driving one kid to football and then another to dance. One of her most successful parties was a virtual one for someone she had never met who lived nine hours away. Posts were scheduled and the party happened despite all the hours Diana had to spend in her car that week. 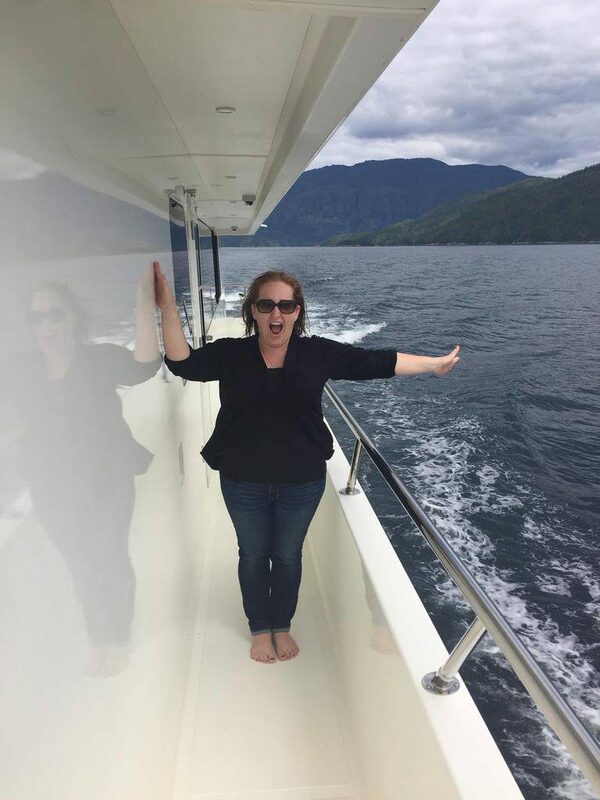 Being able to plan and have content automatically post to her personal timeline, Facebook page and Twitter also allows Diana time to volunteer around her home city of Prince George, British Columbia in Canada. She is the fundraising coordinator for the Prince George Minor Football Association and volunteers with the Canadian Cancer Society and at her children’s school. Diana’s husband, Matt Duchscherer, likes to see his wife have more time with family. As a CinchShare Brand Ambassador, Diana enjoys sharing CinchShare with other busy parents, like her friend who panicked because she had an online party running the same night as her child’s Christmas concert. Diana will take a short break from the Canadian winter and her family with three active kids — Paige, 14, Cami, 12, and Ben, 10 — to mingle with other CinchShare users at Cinch Summit, CinchShare’s second annual social media conference, Jan. 26-28 in Orlando, Florida. 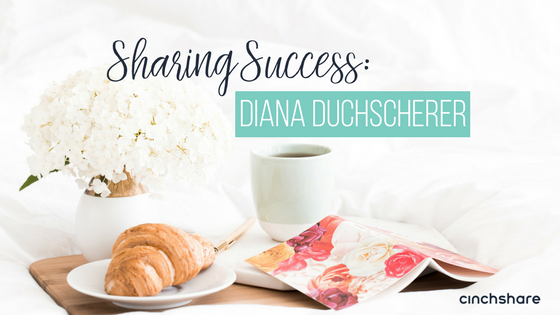 To see why Diana considers CinchShare such a vital tool for her business and life, try it for free! Visit CinchShare.com and enter code CINCHFREE to get a five-week free trial. NOTE: Sharing Success is an ongoing series of stories where we highlight the people using CinchShare who are growing their businesses while enjoying more of life.